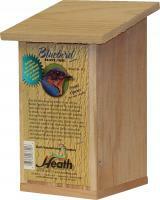 Give your bluebirds a reason to rejoice with the Bluebird House from Birds Choice. 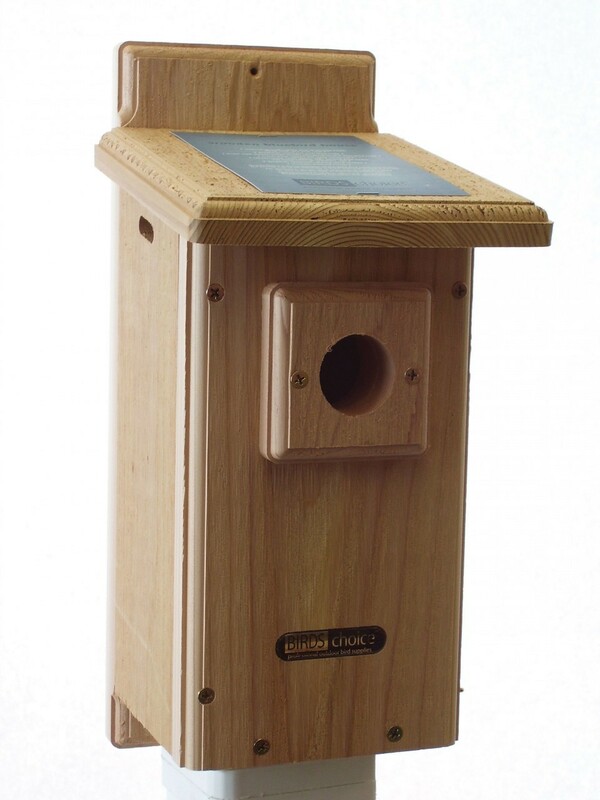 This beautiful birdhouse is made from cedar for a classic look with long-lasting durability. An overhanging roof, strategically placed drainage holes and vents keep the nest dry and cool to ensure vibrant and healthy chicks. The feeder, which has been approved by the National Audubon Society, allows for easy cleaning with a side-opening door. Well built and sturdy, we had tenants the second day it was up. Also a great buy. Well made, easy to get into and clean. 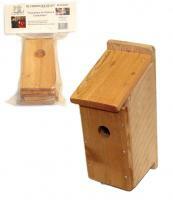 This product was of better quality than most birdhouses available, and believe me I did a lot of research before buying. It had a smooth opening, which is important so that rough wood doesn't tear birds feathers. Base was wide enough for nesting. I recommend researching before buying. 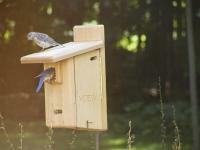 Many bird houses are not made with what the birds need for safe nesting. House is up and waiting for the first bird. Have not seen one yet.